Two of the things that I initially look for when I step inside an inn or hotel where I am billeted are the bed and the comfort room. I’m not picky when it comes to place of sleep. All I need is a bed, not too big or small, but comfortable enough to relax after a tiring day of work. 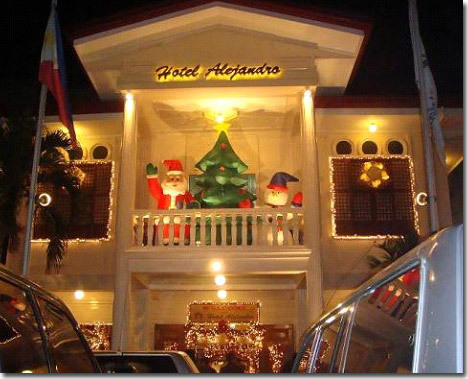 One of the hotels/inns I’ve stayed at while in Tacloban. The photo is not mine. Fortunately, I’ve got the best bedroom and comfort room in one of my work-related trips to Tacloban, except for that inn along (oh I forgot the street, but it was in Tacloban as well), they don’t have a built in water heater. The water running from the danze shower head is freezing cold. I thought I would get sick during my stay there. I couldn’t complain because my sponsors where the ones who paid for my rent. Besides I was there to work. It wasn’t a pleasure trip after all. This entry was posted in Travel and tagged bathroom, bedroom, hotels in Tacloban City, Tacloban City, where to stay while in Tacloban on December 20, 2010 by Yami.